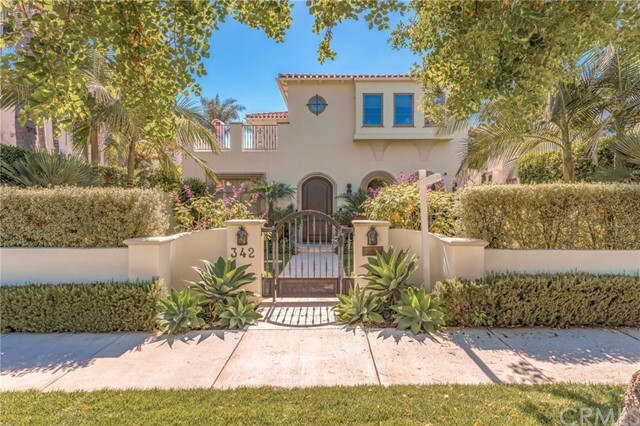 Situated above the street offering rare privacy in this superb location is a remodeled and reimagined 1924 Spanish, and also situated directly across the street from the Egg Park in Santa Monica. Close proximity to Starbucks, restaurants and shops on Montana. French doors abound throughout the house offering all interior spaces a refreshing ocean breeze and also serves as a pathway to a wisteria covered portico. The main floor includes a light filled living room, office, dining adjacent to a chef's kitchen with a separate breakfast area. There is a guest bedroom, bath and family room on the main floor also. On the second floor there are three additional family bedrooms, as well as a generous master suite with his & hers closets and beautifully appointed bath. There is a basement space that is currently being used as a sound studio but is adaptable space for an assortment of uses. A unique property! Based on information from California Regional Multiple Listing Service, Inc. as of 6/5/2018 9:05:42 AM PDT and /or other sources. All data, including all measurements and calculations of area, is obtained from various sources and has not been, and will not be, verified by broker or MLS. All information should be independently reviewed and verified for accuracy. Properties may or may not be listed by the office/agent presenting the information.